Just a quick note to thank everyone who voted for us for both the Nova Scotia Music Award and the Canadian Folk Music Award. We are thrilled to be recognized for our album Seinn and hope to see you on the road soon! 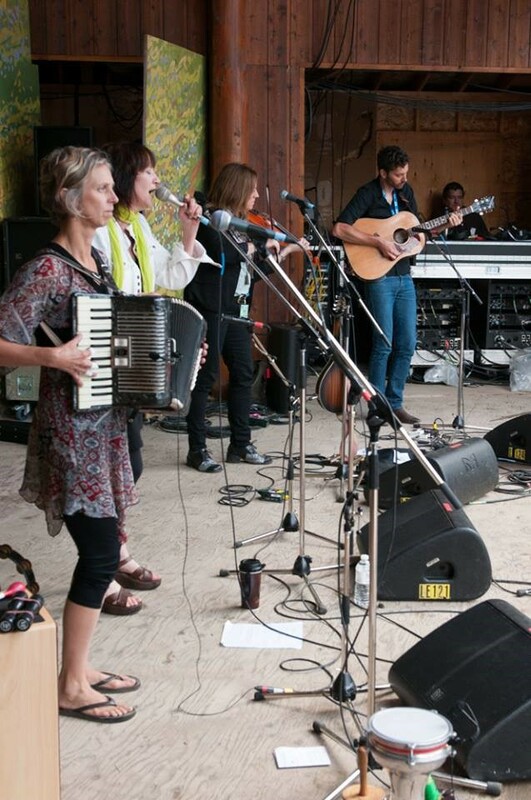 Roots Music Canada writer Andy Frank reviewed the 72-hour musical-mind gathering that was the 27th annual Folk Music Ontario (FMO, formerly OCFF). 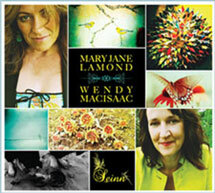 Mary Jane and Wendy made his Top 5 list of artists who left a powerful impression and nabbed Frank’s Favourite Folk In A Foreign Tongue. A view from side stage at the Canmore Folk Festival.